When I first read this recipe, I didn’t understand what the instructions meant. Once I started performing the actions, they made perfect sense. I’m glad I take pictures, because I’d probably explain the process to you in circles! 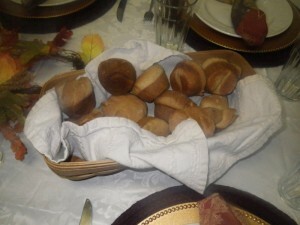 These rolls were light and wonderful – a perfect compliment to our Thanksgiving feast – or any feast for that matter! oil to grease the bowl for rising and the muffin tins. Fill mixing bowl with hot water and dump out the water to warm the bowl. 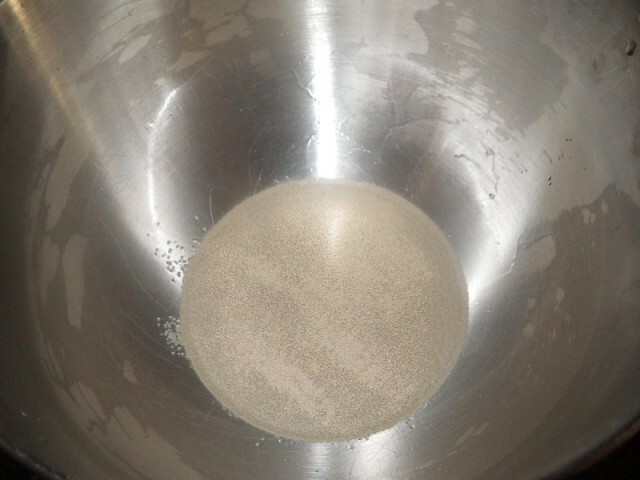 Dissolve the yeast in warmed mixing bowl in the water. 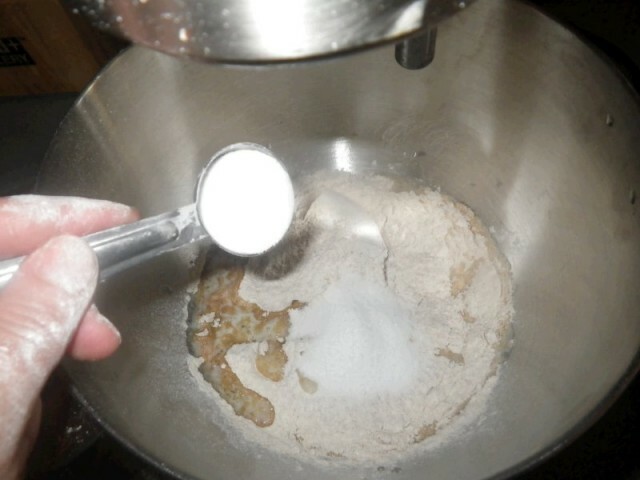 Add ¼ cups of the melted butter, flour, sugar, and salt. Mix 1 minute on speed 2 (or stir) until well blended. 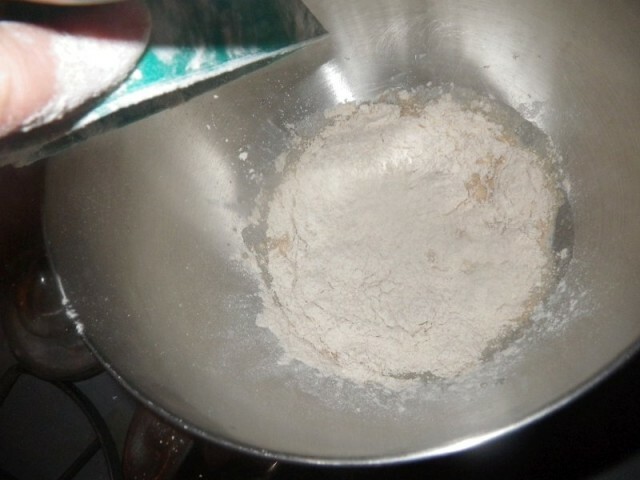 Continuing on speed 2, continue to add flour, ½ cup at a time, until the dough starts to clean the sides of the bowl. 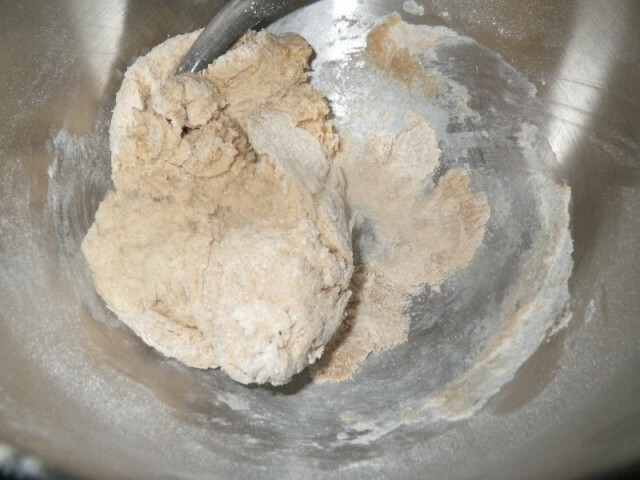 Mix (or knead) for 2 more minutes (or 10) or until smooth and elastic. Place in greased bowl. Turn to coat it all in oil. Cover and let rise for 1 hour or until doubled in bulk. 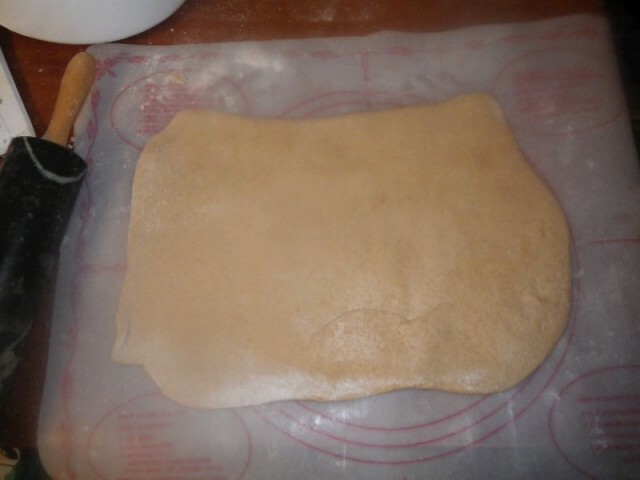 Put on lightly floured surface. Roll out into a 12×9 inch rectangle. Brush with the remaining ¼ cup of butter. 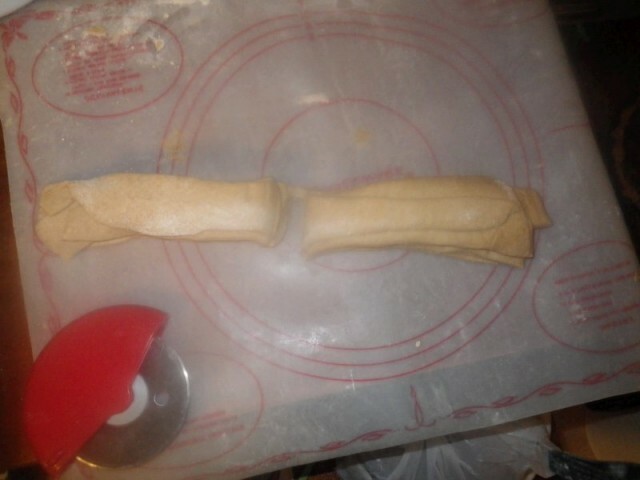 Cut into 6 strips. Stack the strips together. 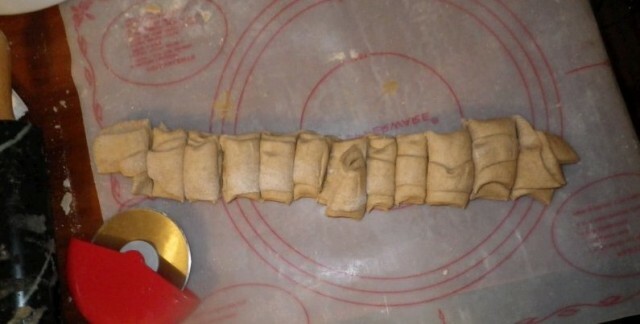 While stacked, cut into 12 pieces. 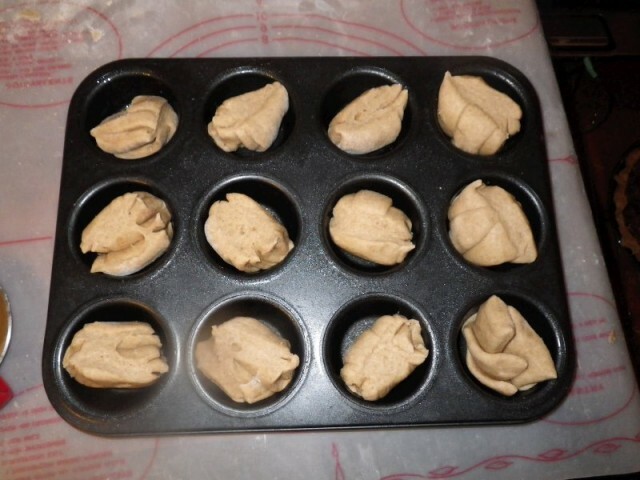 Place into greased muffin tins, cut side up. 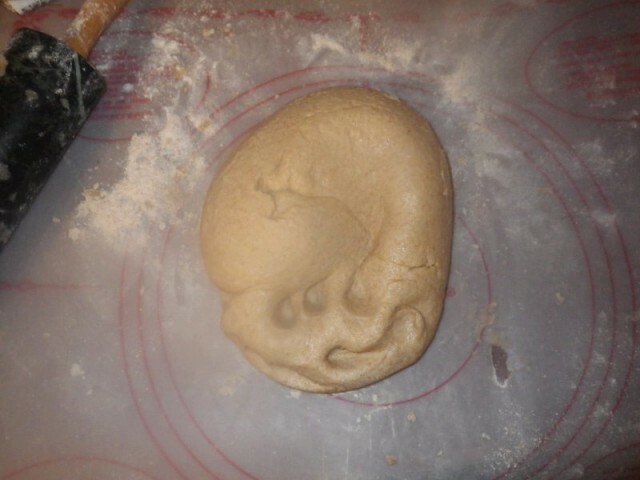 Cover and let rise about 45 minutes. While they’re rising, preheat oven to 400° degrees F.
Bake for 15 to 20 minutes or until nicely browned. what a neat idea! 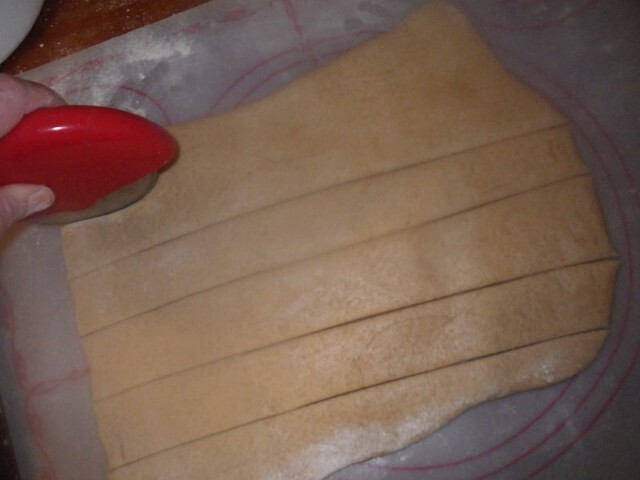 i could make these for thanksgiving…oh stop with the ideas heather! stick to your plan! Hello Hallee! 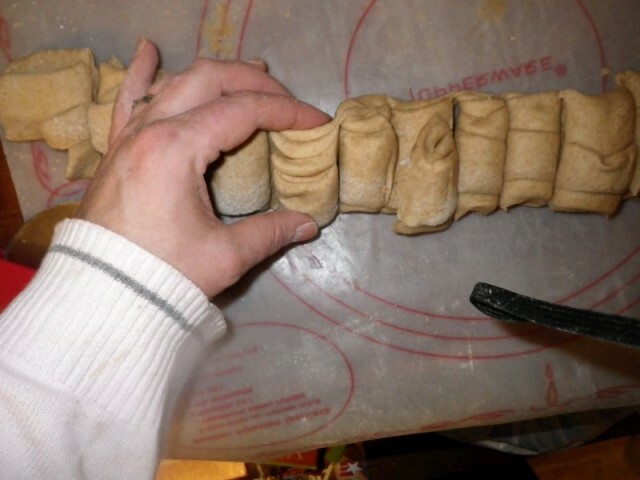 I did not make these rolls but wanted to tell you how much I enjoy your blogs. 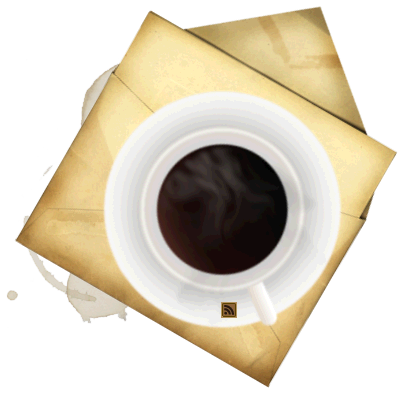 I have subscribed to many Christian blogs but have found yours to be my favorite! 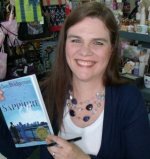 Please keep up the wonderful work! I look forward to checking my inbox for your subscriptions! Hi Hallee! 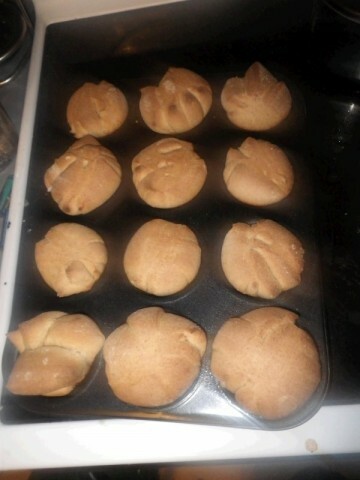 I followed your recipe for preparing whole wheat pull apart yeast rolls, and they were wonderful! Thanks so much for including the pictures, as they were very helpful. I will certainly try this recipe again! 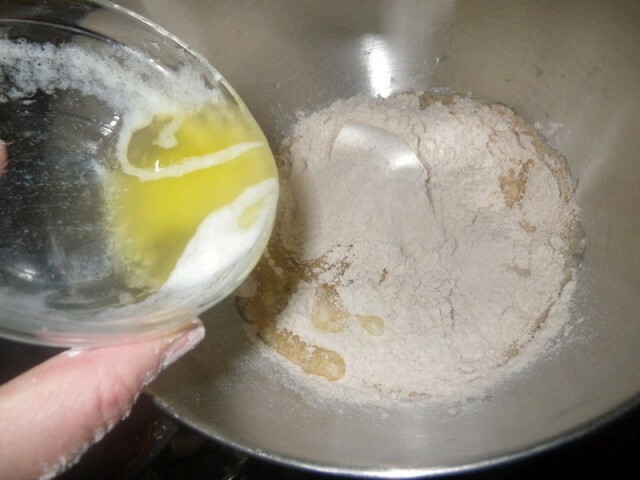 An great way to use inexpensive everyday ingredients and make them taste expensive. Yum!! Thanks!